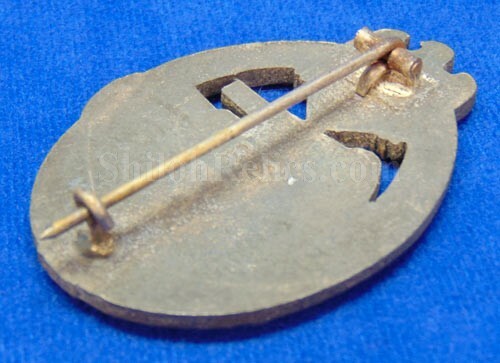 This is a original German World War 2 tank Assault badge. 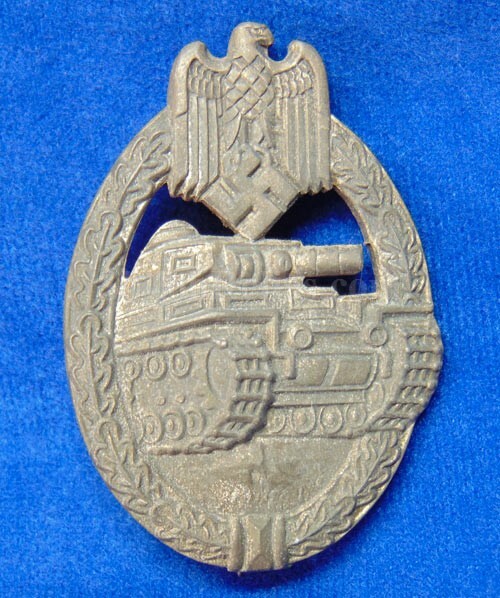 These were issued to the German tanker fighting men of the during WWII. 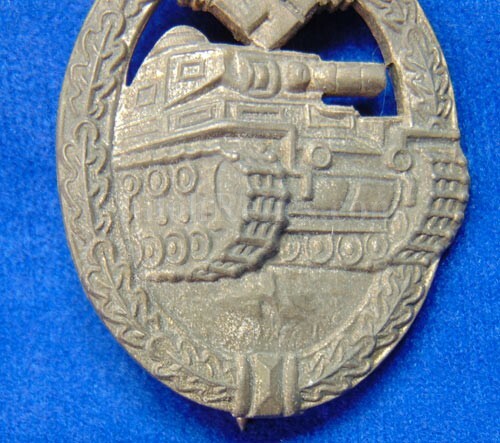 These badges went into issuance on December 20th 1939 for award to all ranks of tank personnel who served as a tank commander, driver, gunner or radio operator and had been involved in three different armored assaults on three different days. This one is in beautiful condition as you can see. 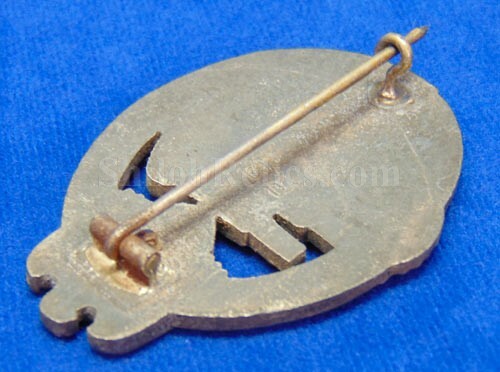 It has the original pin attachment present on the reverse. 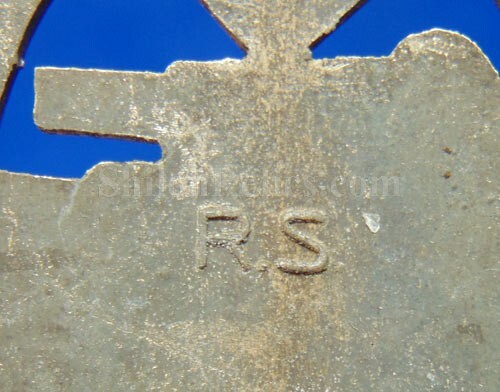 Underneath the pin you can see the "RS" maker's mark. This is the mark of the maker Rudolph Souval. 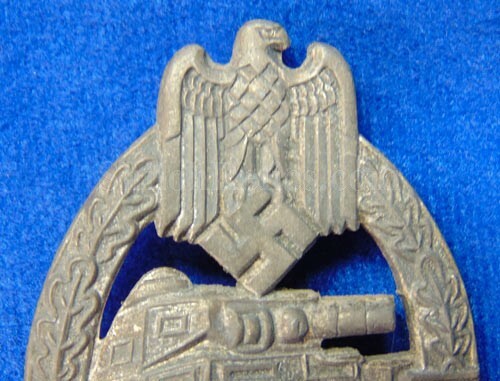 In the badge book they state that were located in Wien, Germany. This piece displays well from all angles.